Although the general public tends to think that Rickey cared only about Rickey, most of those that played with him actually think otherwise. Among baseball circles, Rickey was actually a pretty good teammate, and he has no shortage of fans among those that he played. The following story, by Wayne Hagin of WFAN in New York (and ex-A's broadcaster), is one that I had never heard before, but that definitely bears repeating. The source for the story can be found here. Rickey Henderson will get his coveted spot in Cooperstown later this summer. Voted in on the first ballot, Rickey, arguably, is baseball's greatest leadoff hitter. While the stolen base records as well as others such as leadoff homers may never be toppled, it is Rickey Henderson, the character, that we won't soon forget! Rickey had a way of speaking in the third person and in my early days as a broadcaster with the Oakland A's, he would simply repeat my question as his way of answering what I had just asked. No matter what the feat, Rickey would provide an interesting pre or post game show and never said no. I remember 1982 as if it were yesterday when Rickey stole his 119th base and broke Lou Brock's single season mark. The record was established in Milwaukee and Hall of Fame announcer Lon Simmons, my partner in the booth at the time, told a very young Wayne Hagin to put on my headset and get ready to "call" the record breaker when Rickey got aboard at first. I knew why Lon was offering me that opportunity and I was grateful. Lon Simmons felt he had made several big calls in his major league career already and wanted a young broadcaster to have his "first" big call. I was stunned by his generosity but simply declined by saying on the air, "only one man deserves to call this moment and he's at the microphone right now". I put down my headset and walked to the back of the booth and listened to history being made on the next pitch. Lon called it beautifully and that call is now in the archives of baseball radio history! I also remember a night in Kansas City that same season of 1982. This is a Rickey Henderson story that very few people know about. Being a single man my first four years of broadcasting major league baseball meant that I took in the "sights" on the road. Quincys was the name of the bar downstairs in the Kansas City hotel where most visiting teams stay. It was closing time and that meant that I was going to walk up the stairs to the lobby and catch the elevator and retire for the night. I was walking up the stairs next to Brian Kingman, one of the A's starting pitchers. Infamous for losing 20 games two years before, there was a constant friction between A's manager Billy Martin and Kingman. Little did I know, that I would be thrust into that friction within seconds of reaching the hotel lobby. At the top of the stairs stood Billy , with that black cowboy hat he was so fond of wearing . Standing with him were his coaches. I whispered to Kingman, "what is that about"? As we approached the top step, Kingman told me that Billy was waiting for him! Billy simply did not understand the cerebral Kingman and the two had knocked heads about his pitching style, effort, and results. Now, they were going to knock heads literally. When we had reached the Martin party of five, waiting like vultures for Kingman, the words started spewing. After several minutes of verbal jabs, Billy stated that they were going outside to rumble. I pleaded with Billy that he didn't want to do this and he told me to step aside. This was going to happen and happen right now. Billy always had his coaches by his side. We all know why. Billy stepped outside the hotel and into the warm, humid Kansas City night. Brian Kingman would walk through the same door, knowing that fight time was near. Then, something happened that I will never forget. As the two men exited through the door, one of Billy's coaches stood at the door and blocked anyone else from joining in. Billy and his four other coaches were outside with Kingman with this other coach making sure there was wasn't any backup. What you need to know is that several of the A's players were in that lobby when this unfolded. Only one player went to the door to aid his teammate. When that player got to the door, the coach said ," You don't want to get involved". That player said that if Billy had his coaches outside then he needed to provide support for his teammate. That player was none other than Rickey Henderson! While the other players turned their heads and , in essence, their backs on Kingman, it was Rickey, the star of the team, who went outside to be a peacmaker. Billy and Brian did scrap and yes, there were some pretty good punches thrown between the two. It was ruled a draw and the miserable 1982 season would end with Billy being fired during the World Series. I will always remember Rickey Henderson that night because he was the sole player to challenge what was happening between his manager, coaches, and his teammate. Rickey felt Kingman was outnumbered and went to his rescue. I know Rickey Henderson will be remembered for a lot of things during his time in the big leagues. Some of it funny, some of it historical. What I will remember is his courage to stand up for a teammate and try to right a wrong. For that he will be remembered! Very interesting story. 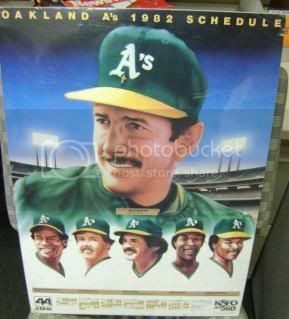 It made me want to know who Billy Martin's coaches were that year. But all I could find was his pitching coach, Art Fowler. Outside of Cliff Johnson and Rickey, Kingman would be the last guy on that team you would want to fight!